This post is real world example of path testing. 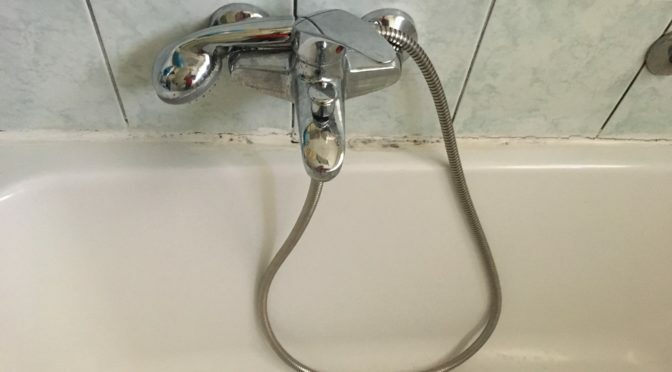 Featured image of this post depicts the problem: a shower tap. When shower “head” was used, there was no hot water. use new hose and old head: ok.
Issue was with shower hose. Hot water is rather extreme condition for any material, and shower hose interior is made of rubber. That part lost original integrity and that path was congested. You can learn about path testing in BBST Foundation course.